South Africa is one of the most popular cricket teams. They have reached many ICC tournament finals and semi finals but their bad luck continues. Recently a cricket magazine released the details players salaries of all teams. The top player in the South Africa team earn $450,000 at the end of the year. du Plessis and Ab de Villers are the two highest paid players in the current squad of South Africa. The new enter player maximum earn ($150,000) retainer fees end of the year. Note: Officially no cricket board public the salaries of the players who are on contract base. The salaries in the above mention are taken from trusted sources of cricket. The retainer fees is double for the (Faf du Plessis). He is leading his team as captain of all three formats. South Africa players are earning way better then (West Indies, Pakistan, and Sri Lanka) players on international level on base of the contract terms. Players earn extra bonus money from the board once they performed well in the home match series and away match series. Batsman who score century or double century received 25% extra salary in match fees. Same goes for the bowlers, who took five wickets haul or complete hat trick in the match earn extra 25%. 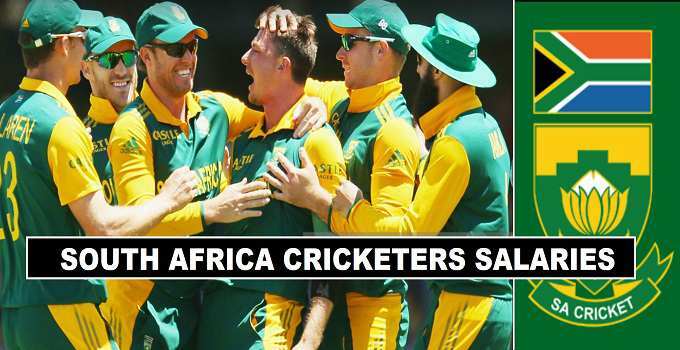 South Africa did not win any major tournament of ICC but they reach semi final of WC 2015. In semi final suffer defeat from New Zealand and received ($600,000) prize money as losing semi finalist. Total prize money ($300,000) distributed among players as pool prize share.